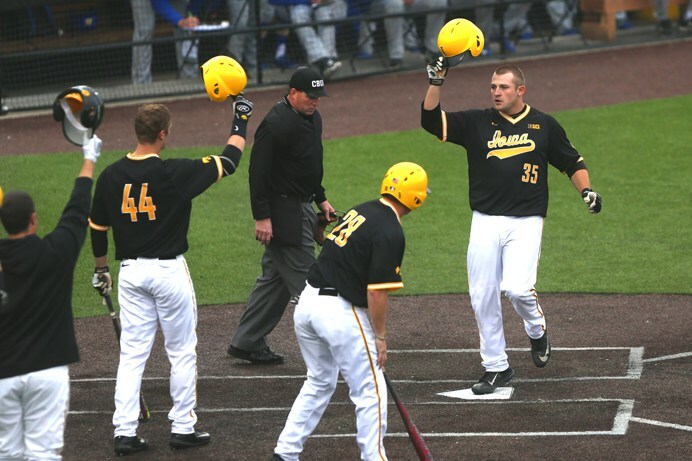 IOWA CITY, Iowa – Coming off a successful weekend, Iowa Baseball grabbed another victory on Tuesday to go 18-9(.667) on the season. The Hawkeyes’ bats last weekend were again hot, as they swept UNLV at home after a 3-0 win on Friday, and two late scoring rallies on Saturday 6-5,and 7-6. They tallied up 16 runs total outscoring the Rebels 16-11 for the weekend. 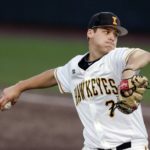 Pitching for Iowa still struggled, although they had a highlight as Friday’s win was the first time this season that they allowed no runs in a game. Although the struggling bullpen has given up runs, it has mainly been the bats leading them to a 6-game win streak so far after going 2-1 against Purdue the weekend before and a win over Grand View (6-5) on March 28th. Riding high, Iowa was going into this week looking to make that 7. 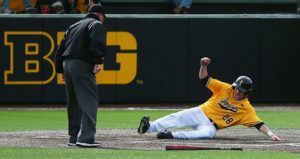 Iowa’s Chris Whelan slides over home plate during the second game on Saturday, Apr. 1, 2017. 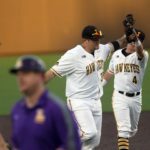 Iowa was victorious, once again, over South Dakota St. on Tuesday with a final of 4-3 as their bats were the deciding force. The Hawkeyes found themselves down 3-2 after their first five innings, going into the seventh. 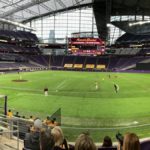 However, that quickly changed after Mitchell Boe walked followed by a double by Mason McCoy that allowed for Jake Adams to tie the game off of a fielder’s choice ground out. Robert Neustrom then doubled to make it 4-3 which ended up being the final. As mentioned previously Iowa’s pitching hasn’t been the best and that continued on Tuesday allowing for 5 hits and 3 runs. Meanwhile, the bullpen ended up saving the game by controlling the game with excellent relief pitching from Zach Daniels and Kyle Shimp. “Zach Daniels and Kyle did a great job of settling the game down in the fifth,” Manager Rick Heller said about the relief pitchers. Thankfully, that wasn’t the only thing Heller was happy about. “We played hard, played good defense, and our focus was better than it was this past weekend.” For a team coming off of a series sweep, this is great news and something to look forward to. The Hawkeyes will try to expand their win streak to 8+, as they take on Northwestern in Evanston this weekend, to continue Big Ten play. First game will be Friday April 7th at 3:30 P.M.